You did up the kids’ Easter baskets, and now you have all this Easter basket grass left over… what to do? Make a wreath! 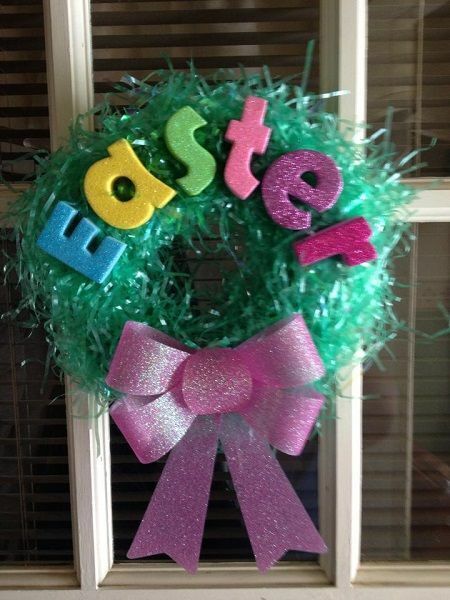 Start with a basic premade wreath as the frame, add the grass, then spruce it up with decorations of your choice!